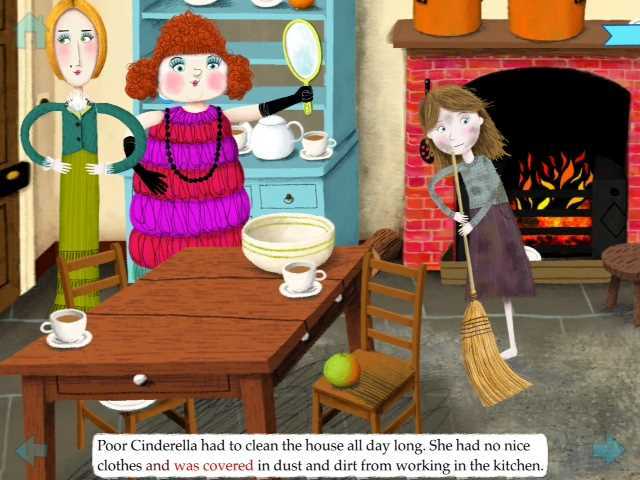 A fabulous modern rendition of Cinderella that makes great use of the iPad's functionalities. 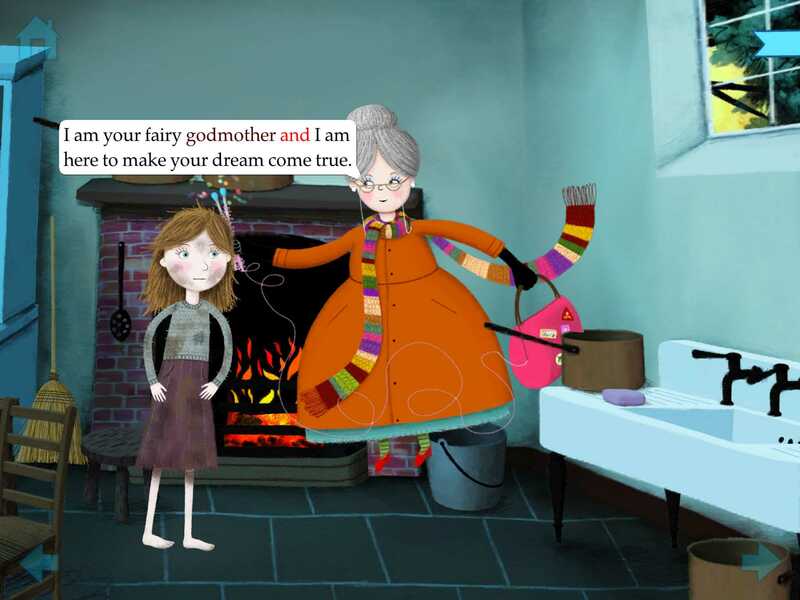 App developer Nosy Crow has made its mark in the iTunes store by creating magical fairytale apps for kids. They are the Steven Spielberg of apps, because they have a gift for telling stories that make brilliant use of the iPad or iPhone. 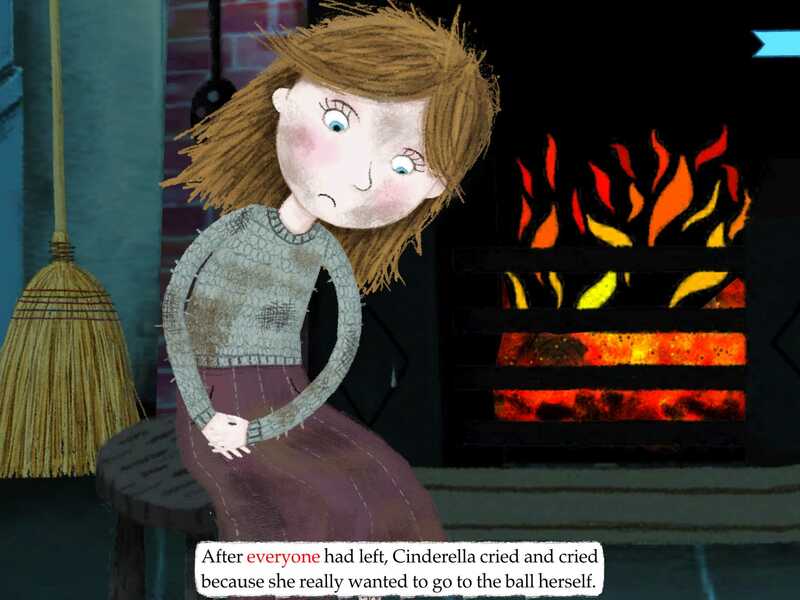 This Cinderella by Nosy Crow refreshes the classic fairy tale by setting it in modern times. The mean stepmother and stepsisters still plague Cinderella, but they seem misguided instead of being evil. The prince wants to text Cinderella after falling for her because she is nice instead noticing that she is pretty. Imagine that! A trademark feature of all Nosy Crow apps is the ability to tap the fully-animated characters to move the story along. This feature immerses your child in the storytelling, as do the many interactive elements nestled inside this inviting storybook. The playfulness within the story shows up by kids helping Cinderella clean the kitchen, dress the stepsisters for the ball, and open the confetti-filled invitation from the king. When Cinderella's fairy godmother arrives, the reader helps her find hidden items in the garden, including the pumpkin and other things she needs to magically create the carriage drawn by horses. With three options for reading -- "read and play," "read to me," or "read to myself" -- this book app can grow with your children as they learn to read. Plus, all of the words highlight as read. This updated version is available in Spanish and Chinese as well. This fairy tale is modernized so that the prince falls for Cinderella because of what she is like as a person instead of simply because she is beautiful. 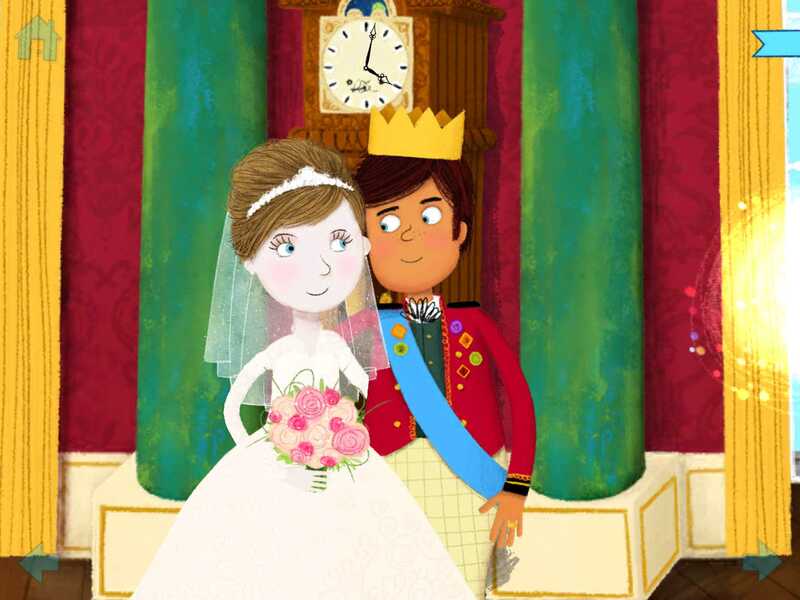 Also, the prince and Cinderella are depicted as having different skin tones -- thus representing some diversity. 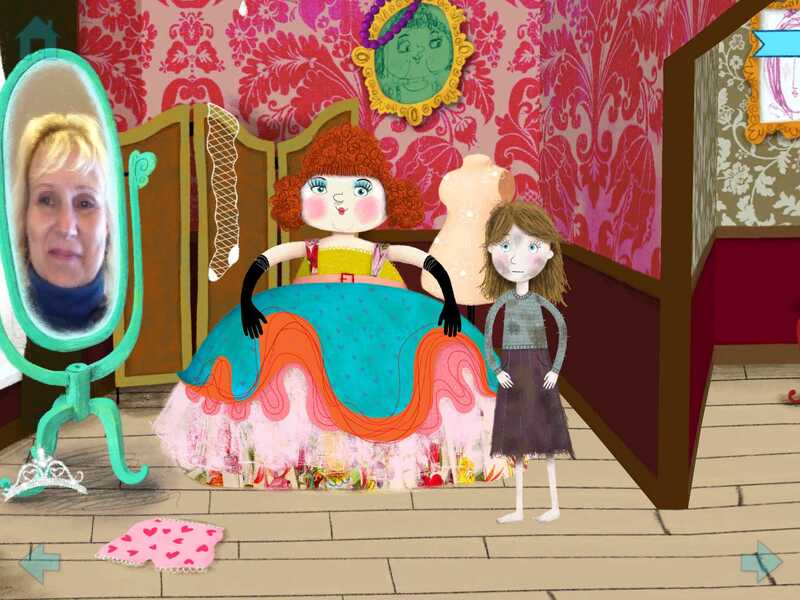 Cinderella by Nosy Crow also makes full use of all of the iDevices capabilities. You can tilt the device to change what you see in the scene. If there is a mirror in the room, the iDevice's camera turns on and shows you or your child reflected in the mirror. Exploring this magical and modern Cinderella is a charming experience filled with wonder. 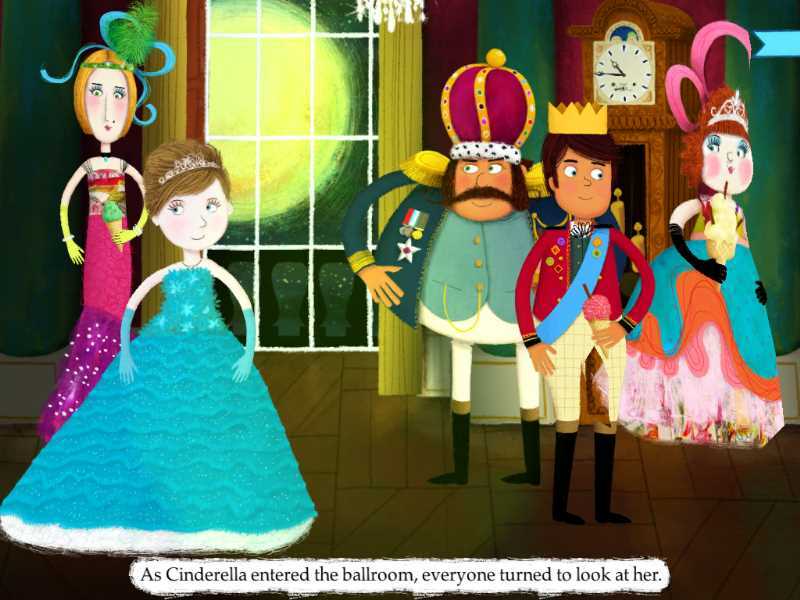 This kid app review of Cinderella by Nosy Crow was originally published on May 6, 2013. The original and this updated kid app review were written by Jinny Gudmundsen.